Both comfortable and stylish, this set is a beautiful way to fully outfit your entire outdoor space. 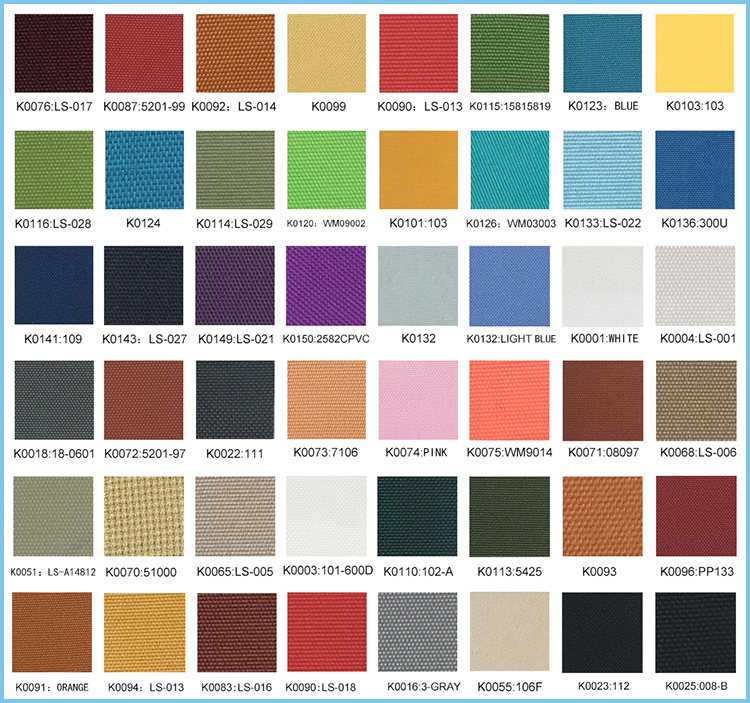 Woven finish on flexible, fade resistant, UV protection premium PE rattan/wicker. Light but sturdy, rustless, powder coated steel frame. All-weather resistant for indoor or outdoor use. 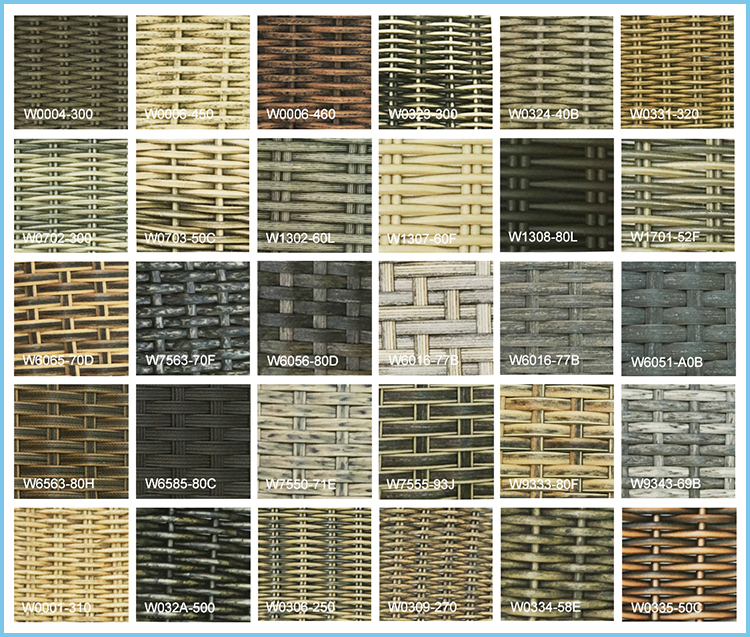 Rattan / Wicker: All-weather premium PErattan/wicker, UV protection, colorfast, water proof, durable and eco-friendly. Frame: Diam.25X0.9MM powder coated rustless steel frame. Fabric: Water proof, UV protection and colorfast. Durable spun ploy, quick dry and high-density cushion, water proof, UV resistant and colorfast. Filling with dacron, suitable for hot and humid climate. Pillows: Premium polyester fabric pillow filling with dacron, water proof, UV resistant and colorfast. Please click here to see more pillows series. 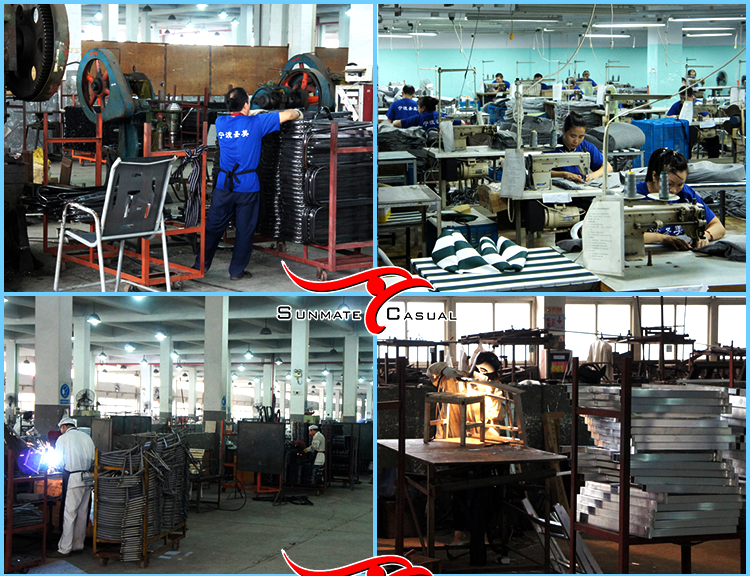 We have advanced equipment, professional production process and large production workshop to complete order production efficiently and quickly. 1. Furniture Package: Bubble bags or PE foam paper wrapped up the whole furniture. 2. Cushion Package: PE bags. 3. Fittings Package: PE bags, non-woven fabrics. 4. Special Package: Wooden bracket, steel bracket and other options available. 1. A manufacturer: take everything under control. 2. Online and phone service 16 hours/day (07:00-23:00 Chinese Time), 7 days/week. 3. Full range of furnishings. 5. 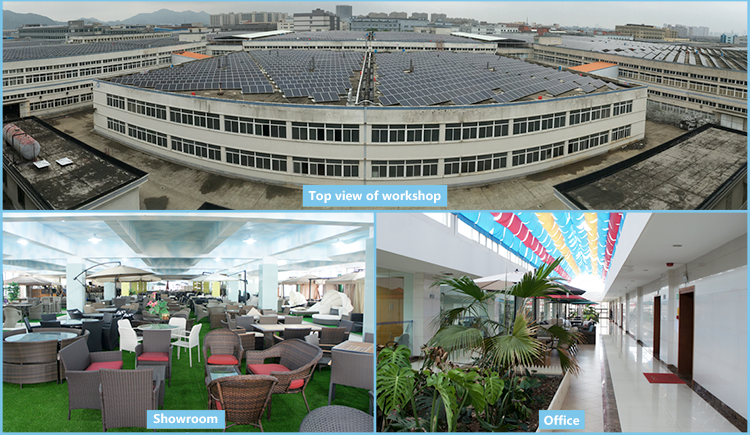 Experienced and well-trained staffs are working efficiently, precisely and always thinking ahead of you. Select items Welcome to our store and select the items you interested. Or let us know what you had, we can custom make it. Inquiry to us Email us your request, we will offer you in 24 hours. Negotiation Prices, payment way, delivery time, shipping, etc… we will sign a contract. Pay deposit Buyer arrange down payment, we will arrange production at soonest. Production complete We will inform you before one week time of production complete. Take photos We will take photos and send to you for reference 2 days before shipping. Balance Please arrange the balance payment once confirmed.we'll arrange shipment as planed. Send documents We will send you origin B/L and custom documents (packing list, commercial invoice, AQIS etc) by express. Or Telex Released B/L. Satisfy & repeat orders We thank you for your great support, and look forward to building long-term cooperation with you. National hardware show in Las Vegas, USA. Spoga and Gafa in Germany. 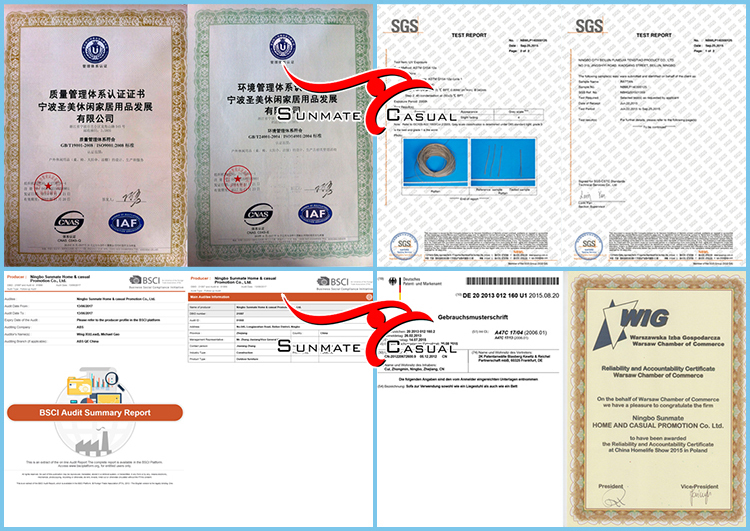 BSIC Factory Inspection Certificate, German patent certificate and Poland trade fairs certificate of credit. 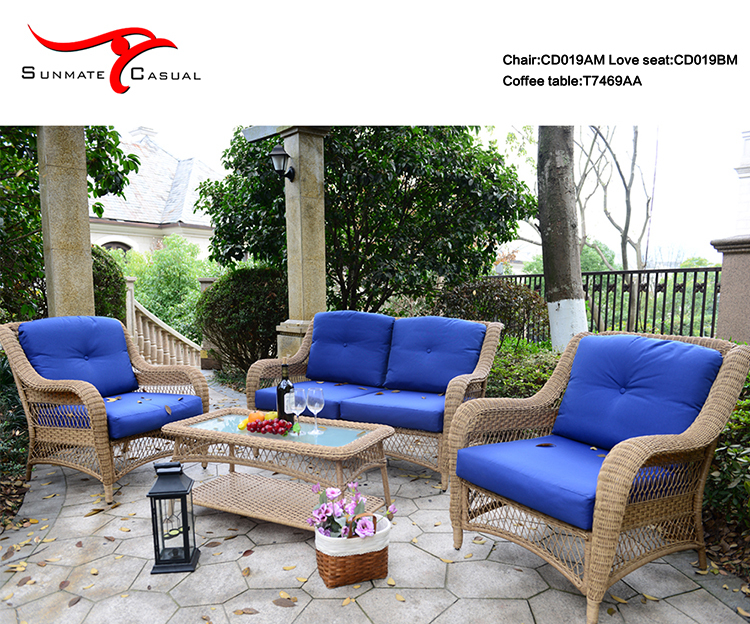 Our main products:outdoor garden furniture, rattan furniture, sun lounger, outdoor sofa, dining set, swing chair and so on. The product that in stock MOQ is 1 piece/set, it is flexible by contacting us. 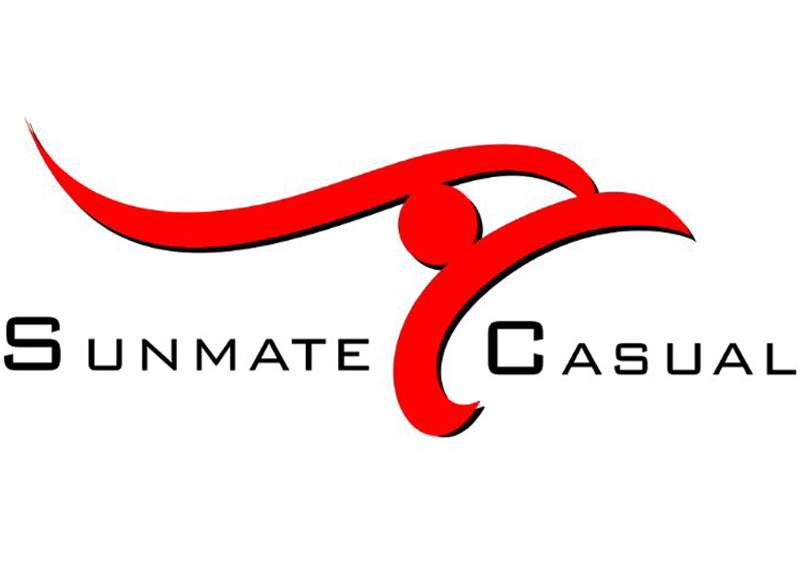 We accept sample order.However customer has to pay for the product cost and shipping cost. 3. 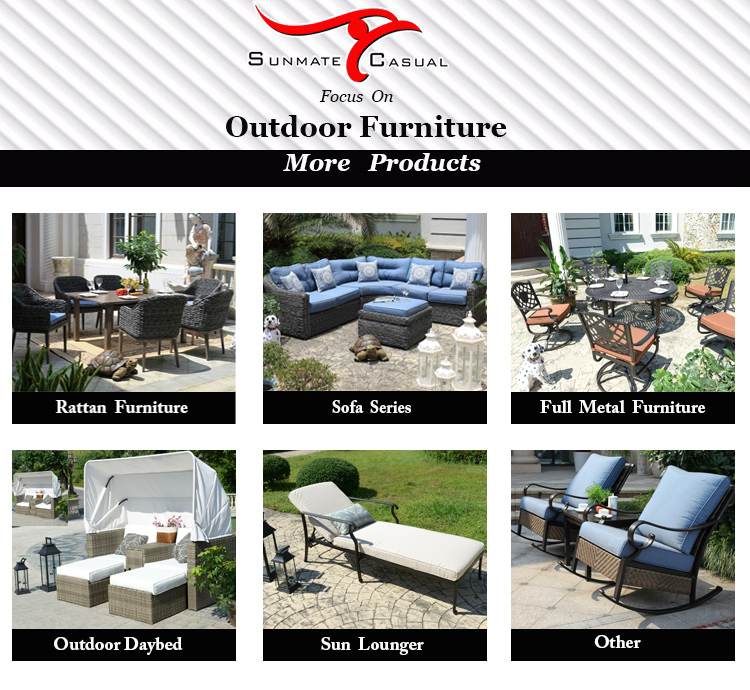 Can I customize outdoor furniture from you? Yes, can change the Dimension according to your needs. 4. Do you have own factory? 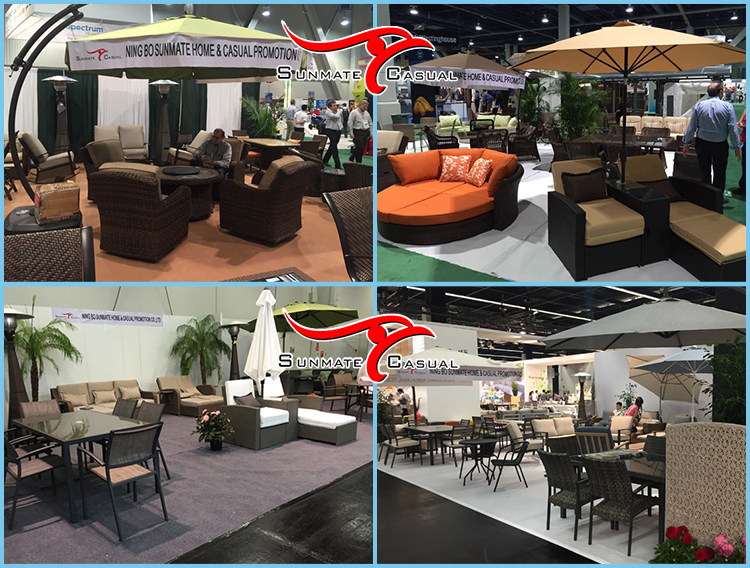 Yes, we are manufacturer with own factory and moulds and production lines, engaged in outdoor furniture for more than 21 years. 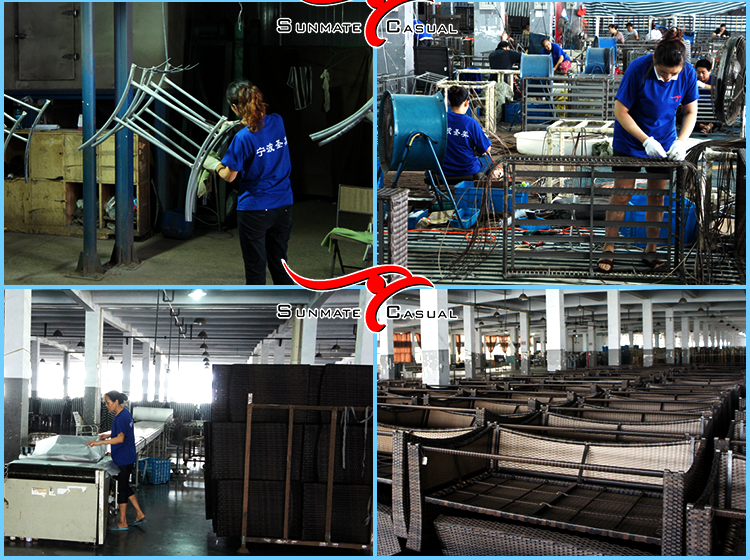 Our production process needs 15-60 days depend on the product's design and when will you place the order. a.More than USD1700, 30% deposit T/T paid before production,the balance paid before delivery. b.Less than USD1700,100% deposit paid before production. As for friend, we put a low value declaration, pls contact us without hesitation.